South Australia is such a diverse destination – with the main highlights of Wine and Wildlife (and the Outback), there was no hesitation for me to visit. We arrived in Adelaide and were “wisked” off to The Louise in the Barossa Valley. This once 3* Motel has been refurbished and upgraded into a 5* Luxury Lodge of Australia. On our first morning we went out for Breakfast with the Kangaroos. It was amazing to see them all running wild. In fact, we got to witness two of them fighting – I thought that only happened in the cartoons! After breakfast we made our way to the vineyards. 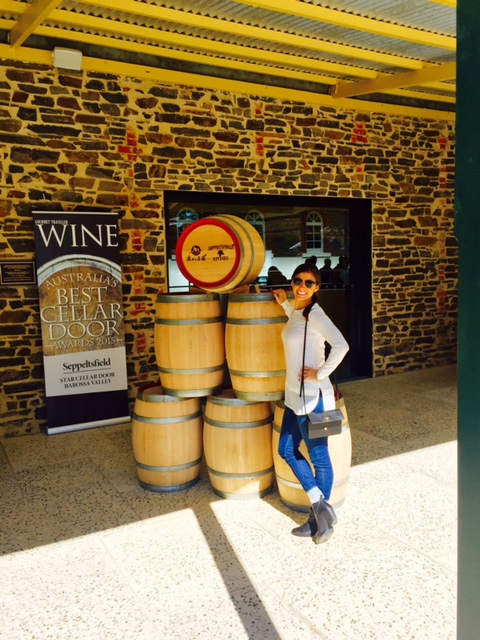 Seppeltsfield is a must see for your tastings. I recommend upgrading your tour to the Centennial Cellar Experience where you are able to taste the wine produced in your birth year. Be sure to include Two Hands, Penfolds and Jacobs Creek to your Barossa visit as well. There are so many tour options and special experiences to make your Winery experience complete. From Barossa Valley, we flew over to Kanagroo Island – ‘The Galapagos of Australia’. Lucky enough to stay at the stunning Southern Ocean Lodge, I was in for a real treat! That afternoon we took the Coastal Cliff walk tour where we overlooked the ocean, seeing the amazing blues and greens of the water. Before sunset, we went out for an evening “safari” type experience for Kanagas and Kanapes. Kelly Hill Conservation Park is an area on the Island and the Kangaroos are all roaming free in the wild. Trying to get as close as possible, it was so cool to see them in their natural habitas. Both of these are signature experiences with the Lodge. The following morning we did the Wonders of KI tour. 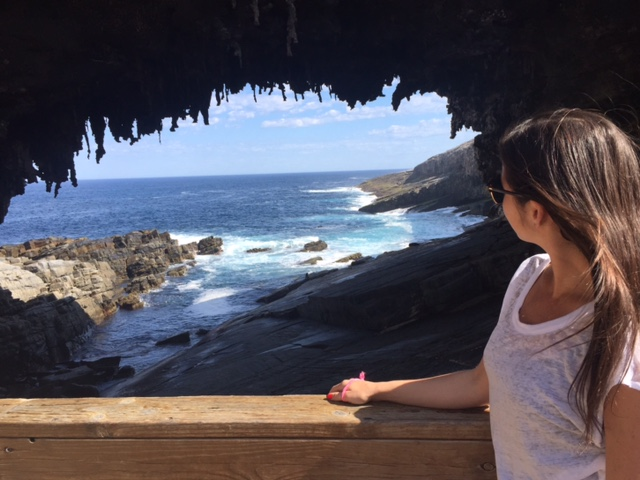 This half day experience is a wonderful introduction to Kangaroo Island’s wildlife, maritime heritage, and amazing landscapes. From the light house to Remarkable Rocks, Admirals Arch to the fur sea colony, we really got to experience the best of the Island’s highlights. After lunch, I highly recommend the Seal Bay experience – home to Australia’s third largest colony of Australian Sea Lions. 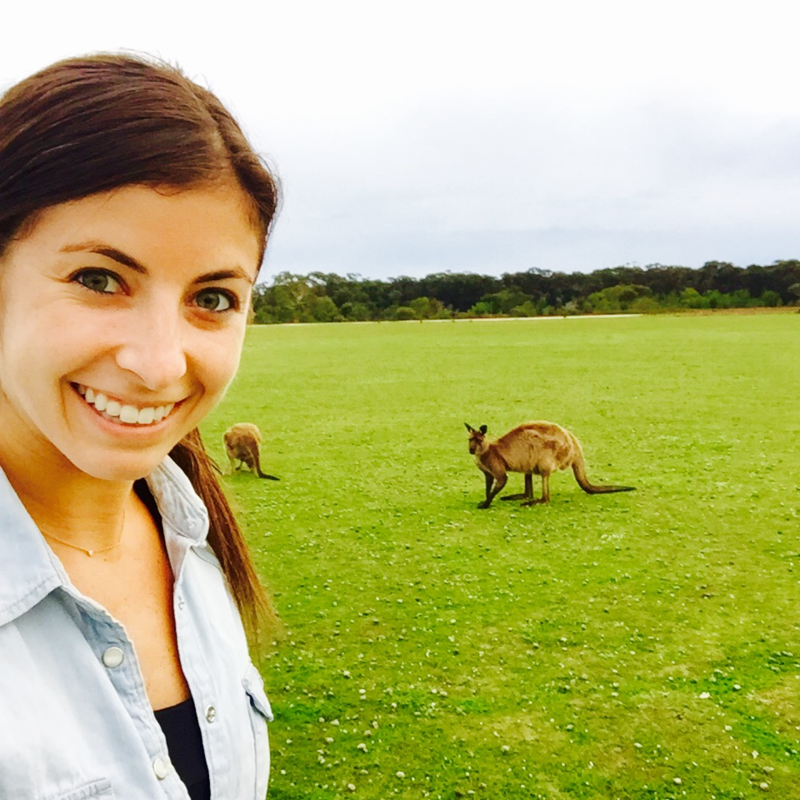 Learn about their life cycle and research programs in this unique Kangaroo Island experience. 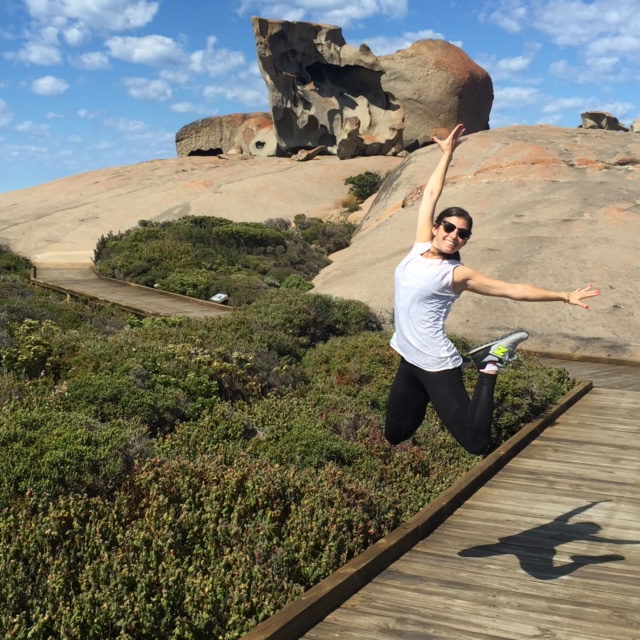 Overall, Kangaroo Island is such a unique and special add on to any itinerary. 1-2 nights is doable and 3 is even better if time allows for it! Adelaide is a great city of wonderful restaurants, galleries and shops. It is a great place to base yourself as the gateway for all of the experiences that South Australia has to offer. I would recommend a tour of the Markets - crammed full of local gourmet delights for you to savour. A Culture and Hertiage half day tour is also a great way to explore the city. For a 5* hotel in Adelaide, check out the Mayfair. This heritage building was once the Colonial Mutual Life building and has been renovated to the city’s newest 5*. With a bar and Café onsite and walking distance to Rundle Street Mall, you will find this hotel in the center of it all.